How Are You Building Your Portfolio? I am excited to be a guest speaker at Kustom Kreation Photography & Celebration Décor’s Portfolio & Perspective event this weekend! It is an opportunity for event designers and planners to come be inspired, create beautiful styled shoots and have them professionally photographed. The host Elisha Akram is a divinely talented Atlanta based photographer who has helped hundreds of brands create stunning portfolios and branding images. She has definitely polished up my portfolio! My branding Empower Hour photo and new headshots for this blog were taken and designed by her – isn’t she fabulous! 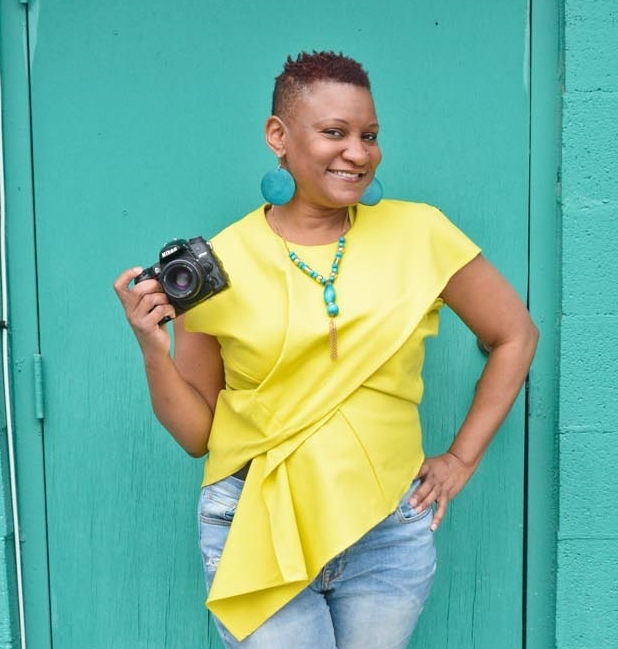 It will be a fun day of flowing in your creative gifts, connecting with those who love the elements of a magnificent event and having your work photographed by different photographers. It is also nice to see the different perspectives that are captured through the different lenses as well as the tables that are created by the different event planners. I’m excited to be a part of this creative day and to help empower the attendees to remember to make their self-care a priority when they are pouring into others. We are constantly evolving and changing and it is good to constantly check in with yourself and your brand. We can get caught up in social media and what others are doing or get so busy and worn down that we forget our own creative spirit and our why. Praying for a blessed event and that God will also help me build my own portfolio to speak more and empower others with my story, journey and wisdom! I am also excited to style the Mimosa Bar at the event to remind the attendees to celebrate and to take time to toast their gifts and every aspect of their journey. I created Empower Her, Inc. to combine my love of event planning and my desire to empower women and girls through amazing events. So fun to get back into the things that I love after taking time out to take care of myself and my family. Cheers to tapping into the creativity that flows from God and to building polished and beautiful portfolios! We are excited to share clips from our Portfolio & Perspective Style Shoot workshop! 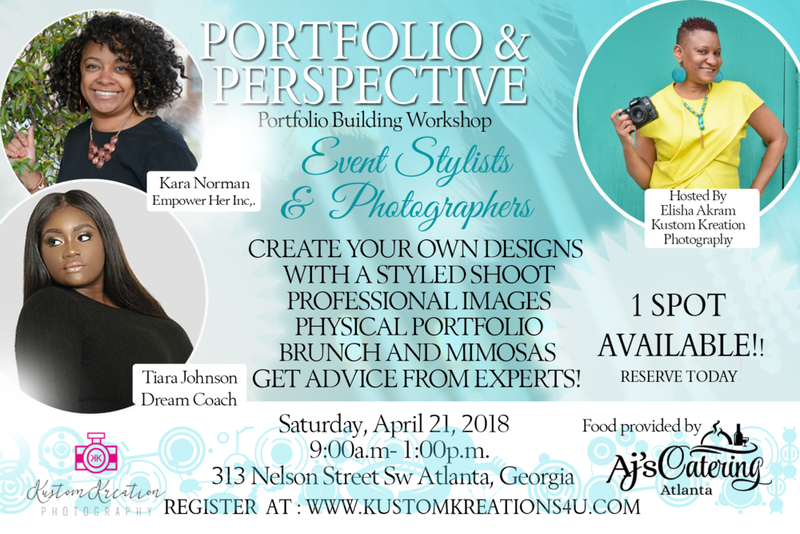 This event brought together event planners (stylist) and photographers providing each attendee with physical portfolio and digital images to assist in marketing to their idea client. Helena Paschal - Correlations LLC & Helena Motivates & Vanessa Parker (The Pink Boss)- both discuss best business practices, marketing, and branding for your business. Anthony James- Head Caterer of Aj's Catering Atlanta spoke on the journey to walk in his passion. Portfolio & Perspectives Location Annoucement!!! We are so excited about our up and coming Portfolio & Perspective Workshop! Over the weekend we announced our location. This perfect loft studio with amazing natural light has our mind going over board with all the creative possibilities!!! If you are photographer or event stylist looking to build your portfolio this interactive workshop is perfect for you!